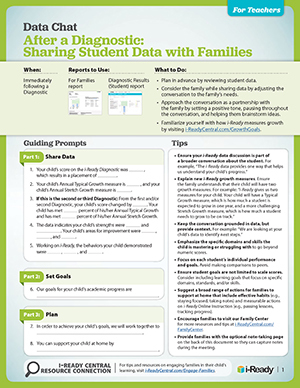 Data becomes much more powerful when leaders, teachers, and students engage with the data and have “data conversations,” or “data chats.” During these conversations, leaders and teachers identify strengths, areas for growth, goals, and specific actions. 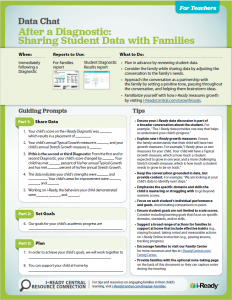 For leaders and teachers, these conversations help unpack what the data means and decide what to do about it. 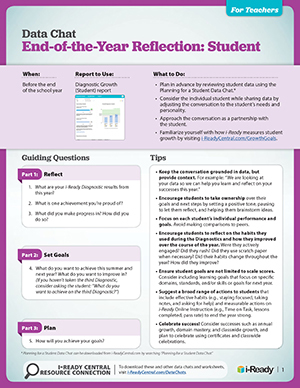 For students, these conversations increase student engagement and promote student ownership over their own learning. 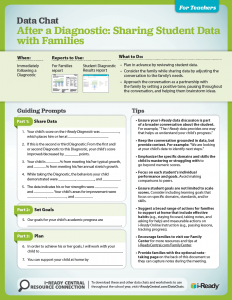 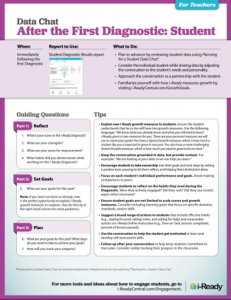 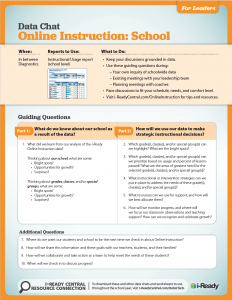 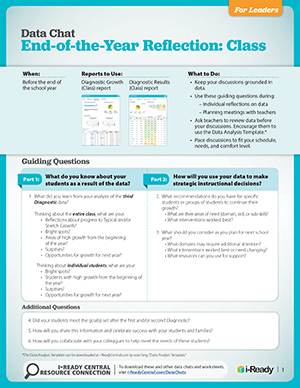 The Data Chat Guides below provide guiding questions and tips to facilitate your conversations at different times throughout the year. 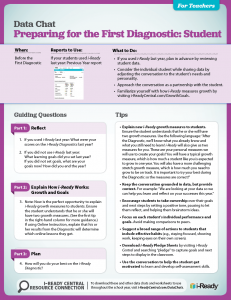 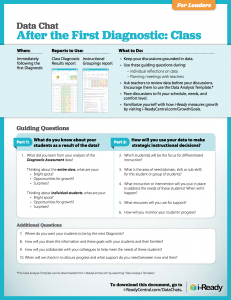 Looking at Data from the First Diagnostic: Download the pack here. 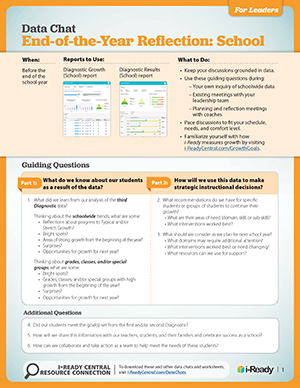 Need help gathering or analyzing data from your reports? 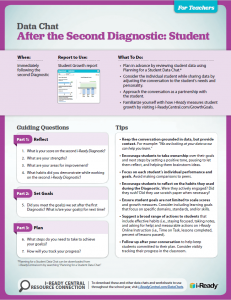 Download the Data Analysis Guide. 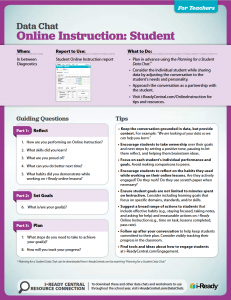 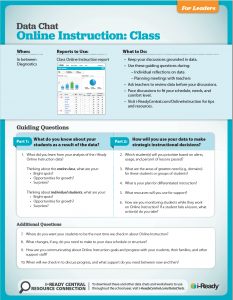 Looking at Online Instruction Data: Download the pack here. 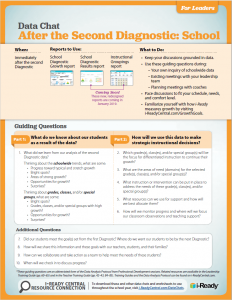 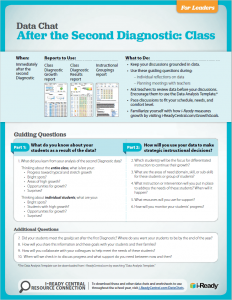 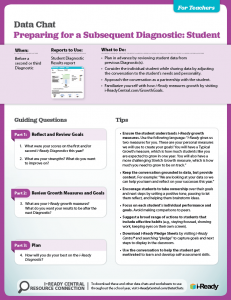 Looking at Data from the Second Diagnostic: Download the pack here. 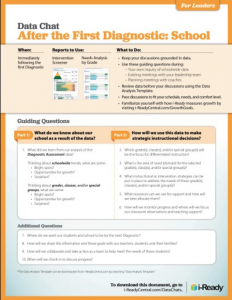 Looking at Data from the Third Diagnostic: Download the pack here.